Whether you need to inform Obi-Wan he’s your only hope, or just want to hang out with loved ones who are far, far away, who hasn’t dreamed of a future involving holograms? 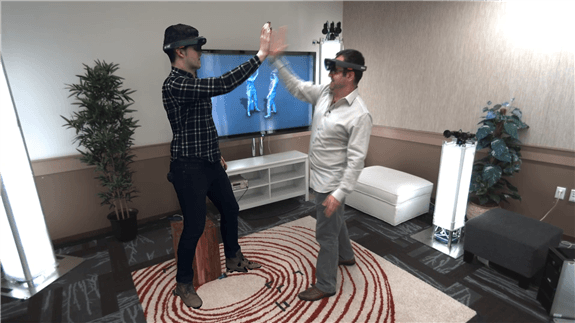 Microsoft’s “holoportation” demo shows that it’s possible — if you’ve got a couple of HoloLenses and a couple of rooms surrounded by 3D cameras anyway. 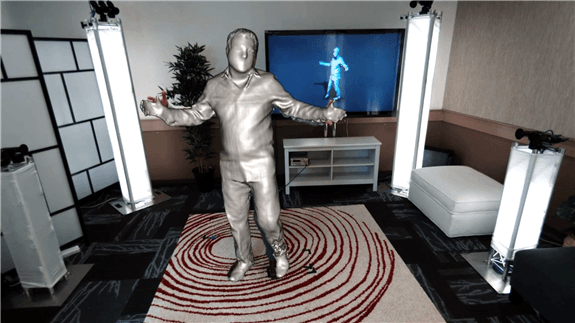 Shahram Izadi, principle research manager at Microsoft Research (Cambridge UK), hangs out with a co-worker in hologram form in a recently released video, and then with his daughter. 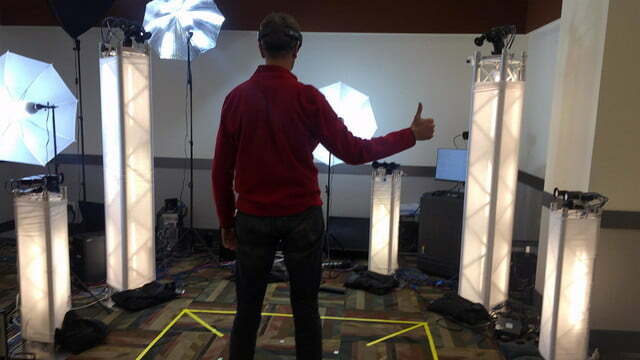 It’s not a perfect re-creation: you can tell that you’re looking at a hologram because of occasional glitches and an overall low polygon count. 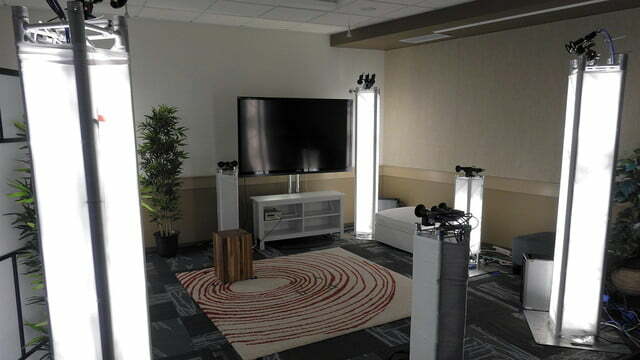 But it’s not hard to imagine this being more intimate than a Skype chat. The setup isn’t simple. 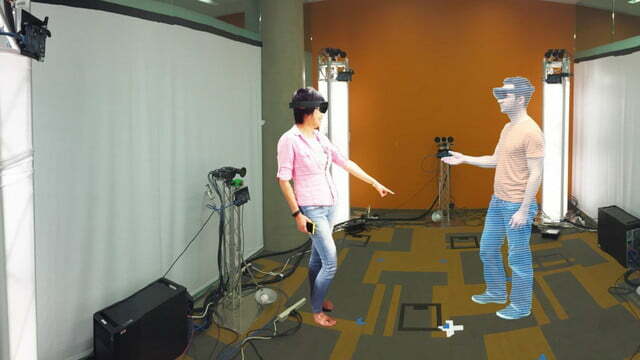 A HoloLens is required to see the holograms in realtime, and a room surrounded by 3D cameras is necessary to create them. 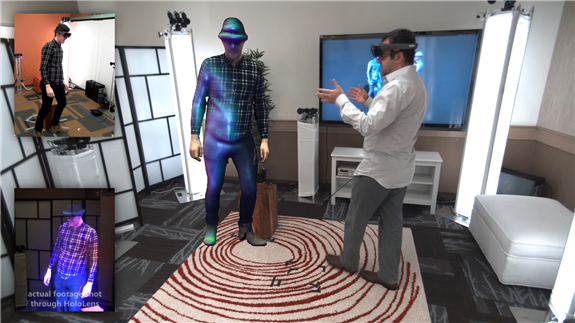 And however good the technology becomes, there’s one barrier to this feeling deeply immersive: the HoloLens itself. You can’t see other people using this tech unless you’re wearing a HoloLens, and you can’t make eye contact with people who are wearing the augmented reality device. 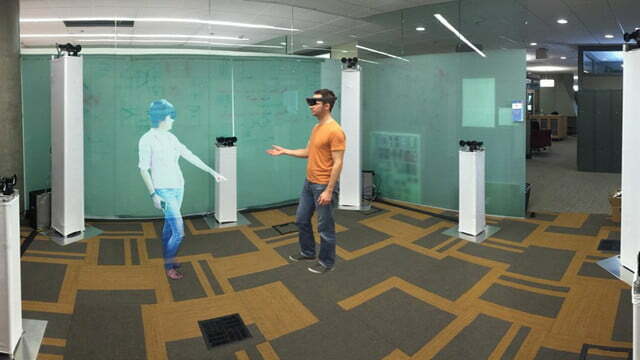 To see another person’s holographic face, they need to take off their headset — which means they can’t see you. 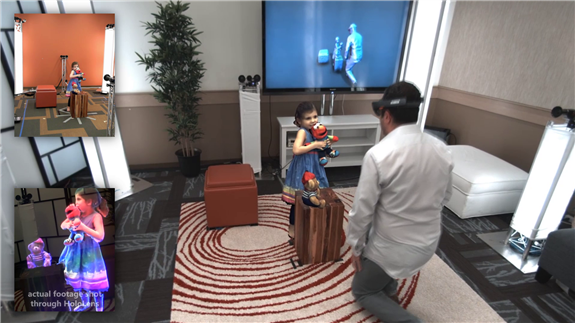 In the video Izadi Interacts with his daughter Lilly, who is not wearing a HoloLens. His daughter cannot see him, and at one point almost walks straight through him because of this. So there’s a design problem here that headsets can’t readily solve. But it’s still a remarkable example of what sort of tech we’ll have access to in the future, and it’s particularly cool to see the recorded conversation played back, and even shrunk. “It’s almost like walking into a living memory, that I can see from another perspective,” said Izadi. We’re excited to see how this all develops, and will do all we can to keep you informed.